Explore and develop your full potential in a Danish folk college - or come to Denmark on a volunteer abroad program. The Danish Folk College is a unique school concept that can be described as a ”School of Life”, where you can learn everything that you can’t learn out of books. There are no exams or academic requirements for admittance, but you will probably learn more on a personal, interpersonal and intercultural level than you would have ever thought possible. You sleep, eat, follow classes and spend your spare time in and around the college together with your fellow students and teachers. In that way you are able to live in a family-like community and create a safe space where everybody can be themselves, try out new things, make mistakes and learn. Since you are retreated from the everyday life stress and struggles, you can fully focus on your own personal development in a reflective and inspirational environment. You can further develop your existing talents or discover totally new ones. AFS offers six different folk colleges with very different courses. For more details have a look at the folk colleges’ own websites. As your courses and interaction with fellow students will be in English you will improve your English capabilities. You will get an insight into Scandinavian and Danish culture through your Danish AFS contact family and Danish fellow students. Some folk colleges have extra fees for study trips abroad etc. You are welcome to contact program coordinator Annette Bauer on [email protected] for more information on that. Your AFS participation fee includes accommodation at the college, full board and tuition. 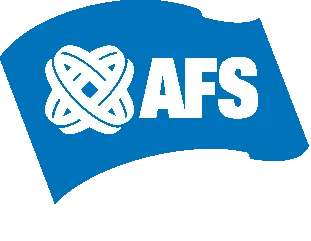 But as an AFS participant you will also have your own AFS contact family outside the college, an full global competence certificate course (at the end of which you will get a certificate for your CV), full health insurance, an AFS orientation and support from AFS all through your stay. You will both live, study and eat at the college and all your meals as well as accommodation in twin rooms are included in the fee. For a fee you may be accommodated in a single room. All the courses which you take part in at the college are included in the fee and so are the various activities which are part of the program. There may be certain optional activities/courses for which the is an additional fee. You wil have your own AFS family who live nearby. Typically you will visit or in or ways spend time with your family once a month but that is something you arrange with your family. AFS will take out a full health insurance for you which includes home transport if required. As an AFS participant you will go through a full online course which has been developed to provide our AFS participants with the intercultural competencies and knowledge to get the most out of your AFS experience and to navigate in an increasingly global world. During your stay in Denmark AFS will support you with whatever questions you may have or problems you may encounter. We also have an emergency phone so that you can get in touch with us at any time if that is required. You will also be invited to an orientation over a weekend where you will meet lots of other AFS participants and also Danish AFS volunteers. The application process for the folk college program is quite straight forward. You should fill in THIS PRE-APPLICATION (this should be done latest two months before your desired program start). When we receive your pre-application, we will organise to have an online meeting with you where you can ask any questions you may have. After the online meeting we will secure you a spot at your chosen folk college and then ask you to submit certain documents to complete your application. Once we have received your full application and you have been formally accepted by the folk college, we will ask you to pay a deposit of 500 euro. Two months before your AFS program start we ask you to pay the remaining amount. At the same time we will give you your arrival instructions so that you can book your transport to Denmark. You can take part in a volunteer program from 3 to 11 months in Denmark and work with children in a kindergarten or with education in a primary or secondary school. You will live either in a host family or at your project. Fees start at 2.600 euro and include board, lodging, volunteer project, orientations, full health insurance and support. Contact us for more information or apply HERE. You can also take part in the full year MIX program where you will work as a volunteer for half a year and study at a folk college for half a year. The fee is 7000 euro and includes board, lodging, volunteer project/tuition, orientations, full health insurance and support. You decide yourself which type of volunteer work to do and which college to attend. Contact us for more information or apply HERE. You can also take part in an international summer camp from 6th July to 10th August at Vraa Folk College together with young people from all over the world. You will strengthen you intercultural competencies, engage in a variety of creative and cultural activities and learn more about Hans Christian Andersen and his fairytales. The fee is 1440 euro. Contact us for more information or apply HERE. Fülle diese Bewerbung aus, falls du an einem AFS „Folk College“ Programm, dem Freiwilligendienst im Ausland oder dem Freiwilligendienst und Lernen in Dänemark teilnehmen willst. Nenne die Sprachen, die du sprichst, und das Sprachniveau (Anfänger, Mittelmäßig, Fortgeschritten, Fließend). Bitte gebe an, ob du physische Einschränkungen, Allergien oder andere Gesundheitsprobleme hast, die deine Teilnahme beeinflussen können. Falls dies nicht zutrifft, schreibe „Trifft nicht zu.“. Sollten wir etwas weiteres Wichtiges von dir wissen – zum Beispiel bezüglich Allergien oder Essgewohnheiten? Falls dies nicht zutrifft, schreibe „Trifft nicht zu.“.